LumberTown has been a staple of the community for over 40 years. Our 17-acre site is home to a conveniently large lumber drive-thru, 13,000 square foot show room, and 3 display buildings. 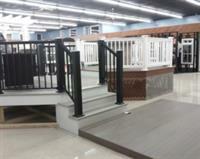 In addition, LumberTown is in the process of adding interior door and custom stair shops. Our quick and convenient drive-thru is just the place to come for all of your project and building needs including : precut studs, SPF, SYP, MCA #1 treated, fire rated, and cedar lumber; pressure treated, fire retardant, sanded, and marine plywood. We also offer fiberglass rolls & batts, foam boards, house wrap, drywall, shingles, a full line of masonry products, cut to length aluminum gutter, soffit, fascia, and a full line of accessories to meet all of your needs. The spacious showroom features a variety of kitchen and bath displays, windows, exterior doors, exterior trim, moulding, suspended ceilings, siding, roofing, hardwood flooring, composite decking and railing. Our inside sales team has over 100 years of combined experience in the building materials industry. You can trust that they will work diligently to provide you with the best quality product at a competitive price. If we don't have what you need in stock - no worries, we receive deliveries 5 days per week and can get your product quickly; not to mention, we are always glad to place special orders for those items we do not typically stock. Just because you don't see it on display, doesn't mean we can't get it for you, and we deliver!